At first glance, Growth Corp and Lavergne’s Tavern don’t appear to have much in common. One is a non-profit provider of small business financing and the other is Berwyn’s local hangout, restaurant and bar. However, they share one very important passion: community development. When Jerry Hernandez took his mom to breakfast one day, he didn’t expect to come home with a plan to open another restaurant. A native of Berwyn, Jerry was well aware of Garv’s Inn, a staple in Berwyn since the 1960’s. “I was driving with my mom and I saw Garv’s had closed,” explained Jerry. “I called the building owner and immediately got to work.” Seeing the potential for success, Jerry acquired the Windsor Avenue building with financing from SBA’s 504 Loan Program, a program provided in partnership between Growth Corp and local banks…in this case, J.P. Morgan Chase. 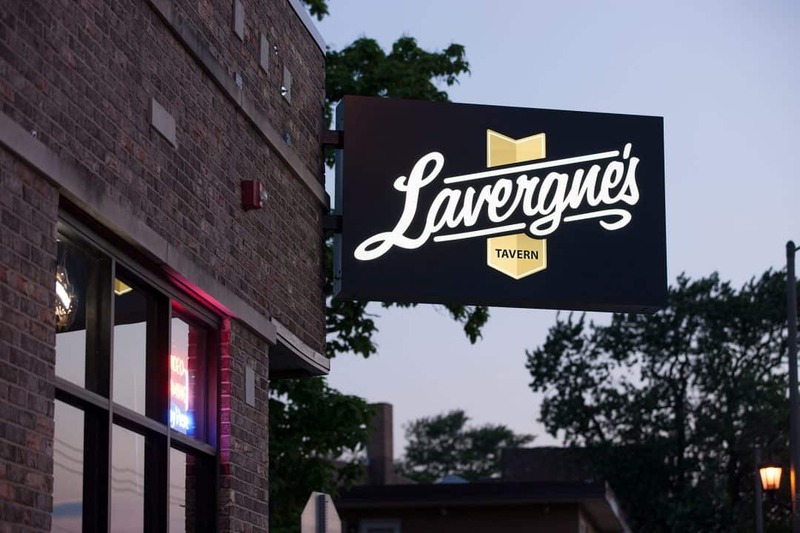 Lavergne’s Tavern opened in June 2016. A native of Berwyn, Jerry, and his brother, Jorge, say their number one goal is for Berwyn residents to feel like Lavergne’s is their hometown spot. With 15 years’ experience in the restaurant business and two other local restaurants under their belt (Warren’s Ale House in Wheaton and Ellyn’s Tap in Glen Ellyn), opening Lavergne’s was a homecoming…a return to Berwyn and the people they love. 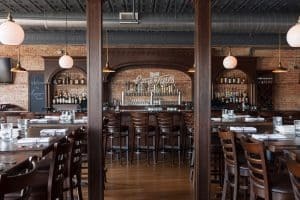 “All of our restaurants are strongly connected to the community, but being back home in Berwyn is extra special,” says Jerry. Lavergne’s Tavern is a shining example of the local small businesses Growth Corp is privileged to assist every day. As one of the nation’s top-ranking providers of small business financing, Growth Corp acts as a catalyst for economic development. Certified by the U.S. Small Business Administration to facilitate the SBA 504 Loan Program, Growth Corp has worked with thousands of small businesses and local lending institutions in the financing of building acquisitions, construction projects and heavy equipment purchases. Learn more about Lavernge’s Tavern.